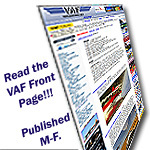 Long time lurker (a few years now), finally got a VAF account four months ago. But THIS is my first post! Started building an RV-10 in May of this year. VS and rudder complete, HS started..
Last edited by tomjj : 10-09-2018 at 07:37 PM. I’m building a -10 up in Eagle. Not quite Denver but somewhat close. I’m currently working on the wings. This is my third RV having previously built a -6 and an -8 (which I still own). Most of my family live along the Front Range in Northern CO, so I make it down there quite often. Long time lurker (a few years now), finally got a VAF account four months ago. But THIS is my first post! I'm building an RV-10 slow build in Lakewood, CO, so not too bad of a drive for you. There is also another 10 I know of being built in the vicinity of Denver University, just a little east of me. I am working to finish out the instructions for the fuselage kit and I'm expecting my finishing kit to be delivered later this month. I also happen to be the current President of Denver's EAA Chapter 301, although this is the last year of my term. I am building an RV-10 in south Denver. Just working through the process of installing the engine. Things are moving along fairly well and I would be glad to get together sometime. Thanks for the responses, guys! I work out in Littleton, so maybe we could arrange a meet after work sometime soon! You should change your signature. It still shows that you live in SC. I think it would be great to have a meet up with Tom. I also want to see how you're coming on your project, Mark, as it's been a while. Hi Tom. I'm in Arvada and am close to finishing up the tail cone. ..I will be giving a presentation at my Chapter's next meeting about my experiences thus far building my RV-10. It's on Friday, October 19th, at 7PM, at the South Metro Fire Station (Main Board Room) in Centennial, CO. The actual address (if you have problems googling it) is on our website, which in my signature below. For those 10 Builders that I already know in the area, please come, so we can catch up, Q&A with each other and offer support to any newbies. Last edited by ppilotmike : 10-11-2018 at 12:34 PM. We dont post much, but just moved our -10 to Front Range for finish work. We have the finish kit, avionics, and are ordering the engine this week.